Kay joined the firm in January 2008 and was appointed a partner in 2012. She was instrumental in the establishment of our public law department. Kay read law and Chinese at the University of Leeds, graduating in 1995. Kay trained at City firm Lovells where she met her partner Anand Doobay, who is also a solicitor. She was admitted to the roll in 1999. In 2004 Kay followed her conscience and enrolled at SOAS on a masters in human rights law. Thereafter she volunteered at Hackney Law Centre and became active in supporting destitute asylum seekers and migrants. 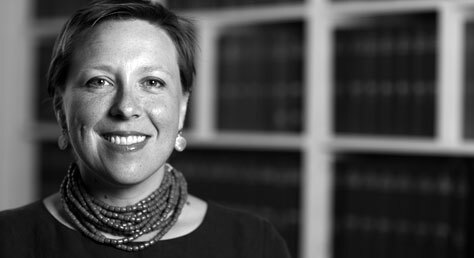 Kay reshaped her career as an immigration and legal aid specialist. In 2005 she joined Christian Khan and went on to be head of the immigration team. Kay joined Wilson Solicitors in January 2008. She was a passionate fighter for the most vulnerable of clients. She had a wonderful sense of humour and her optimistic catchphrase ‘what can possibly go wrong?’ punctuated the most tense legal dramas involving emergency removals and complex detention cases. Kay keenly felt the injustice of any immigration detention. She was tenacious in the cause of liberty and adept at pursuing damages claims for illegal detention. Kay was a ray of light for her clients, she was on their side, listened to them and eloquently spoke for them. Kay was instrumental in establishing the public law department at Wilsons and we were extremely proud to appoint her a partner in 2012. Kay led by example and was a wise mentor, helping numerous trainee solicitors with their careers. Her sheer kindness and intellectual rigour underpinned outstanding legal work. She brought great organisational strength from her City background which she put to good use in her litigation on behalf of many detained asylum seekers. Over the years Kay campaigned on immigration and human rights issues. In 2012 Kay was recommended in Chambers & Partners and was praised as being ‘a champion in dealing with extremely vulnerable individuals’. She gave moving evidence about the inordinate immigration detention to the all-party parliamentary group on migration. She was a powerful voice for the voiceless. Kay was co-convenor of the Immigration Law Practitioners’ Association’s detention committee and had many friends in the wider immigration law community. She was generous with her time and was involved in pro bono grass roots legal advice. Over the years she was associated with Justice, Asylum Aid, Bail for Immigration Detainees, Body & Soul, NNLS Asylum Seekers Drop In and the Helen Bamber Foundation. She was also a member of the Law Society’s Human Rights Committee and particularly concerned about human rights and the rule of law in Malaysia, reflecting the part of the world that she spent an influential part of her childhood. In June 2015, reflecting her expertise, Kay addressed the European Law Academy Conference in Strasbourg on human rights and the detention of asylum seekers. Kay was first diagnosed with cancer in 2009 when only 36. She fought the disease with tenacity and amazing dignity. She was absolutely determined to continue both her work and live life to the very fullest. In so doing Kay inspired all who knew and loved her. In memory of Kay the firm has established in conjunction with SOAS the Kay Everett memorial award and annual lecture. The Kay Everett memorial award is for the best Masters dissertation within a human rights module at SOAS. The award is presented during the course of an annual memorial lecture held at SOAS.